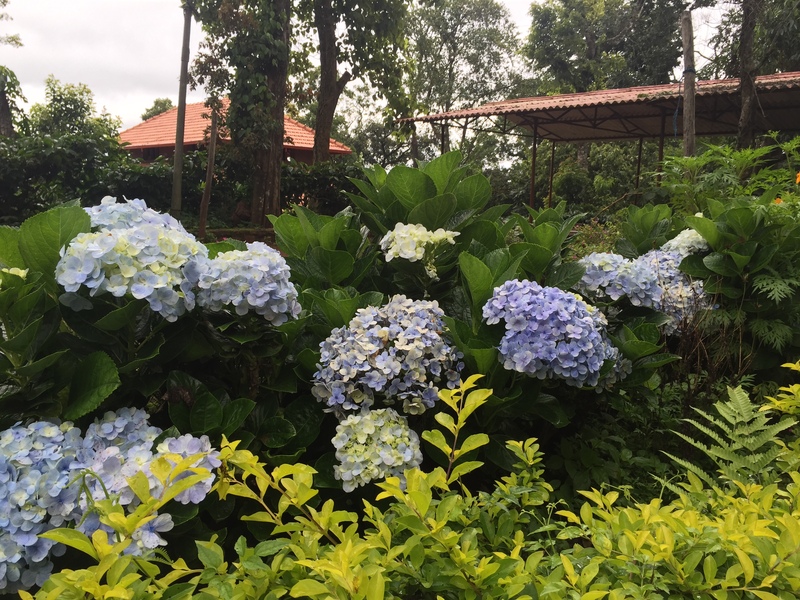 india travels: a weekend getaway to coorg. 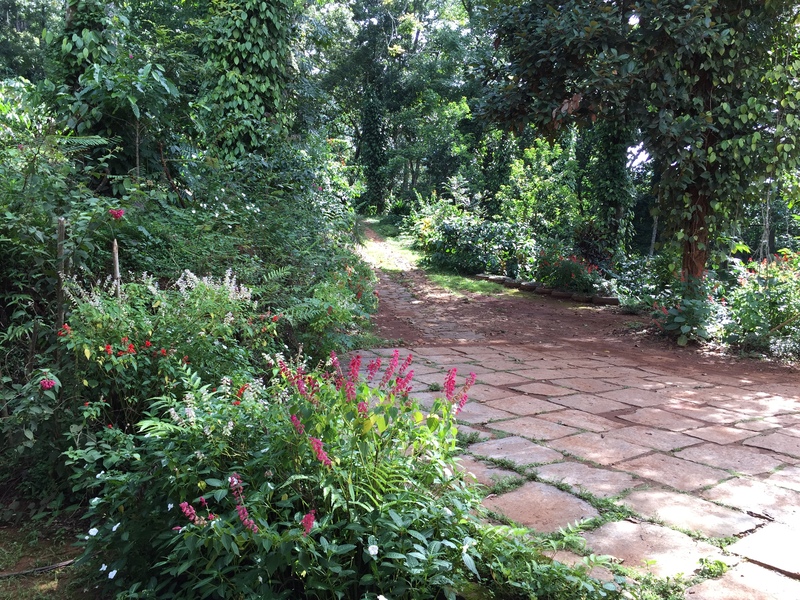 at the beginning of june i escaped the chaos and the noise of the city to spend a few days in coorg, my personal paradise in the hills. 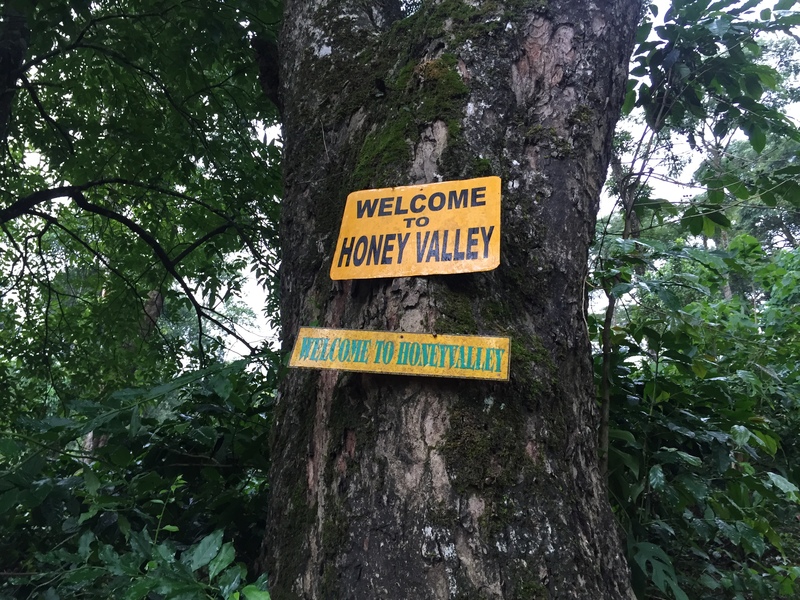 i have been visiting the honey valley estate for 8 years now, and it is one of my all-time favourite places to stay. i have been trying to get back there since i returned to india in january, but it just never worked out. 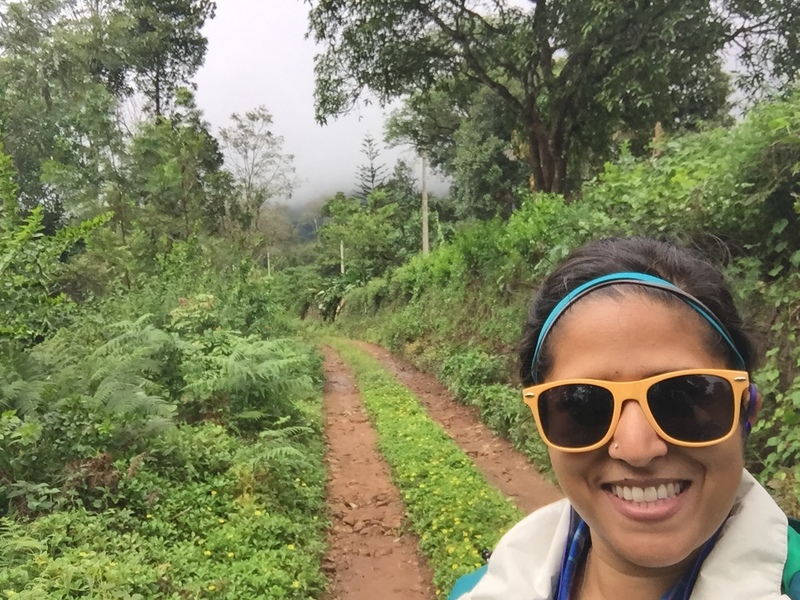 when i met alejandra in bombay during our bicycle tour and she mentioned that she would be passing through bangalore on her way to mysore, i asked if she would be interested in a detour to the hills for a few days. she responded with a very enthusiastic ‘yes’, so i set out to book a little getaway. the view from the bus. 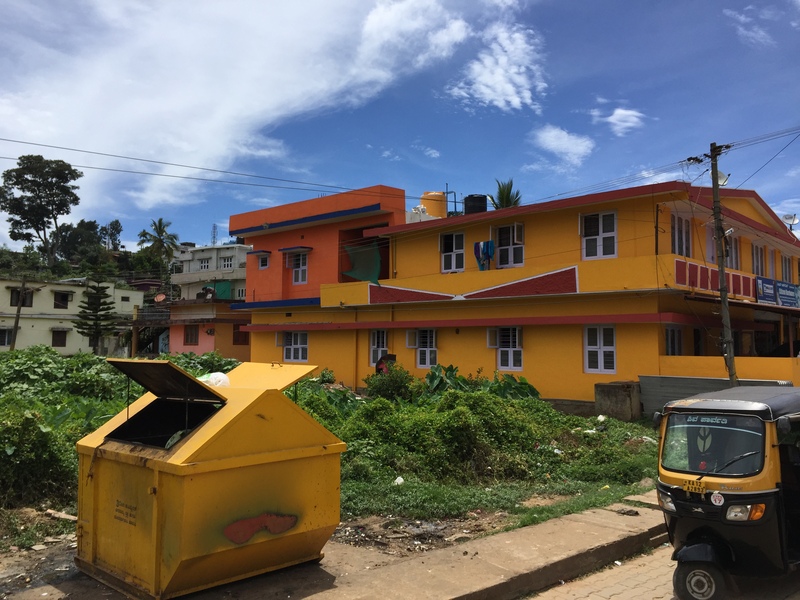 virajpet, india. 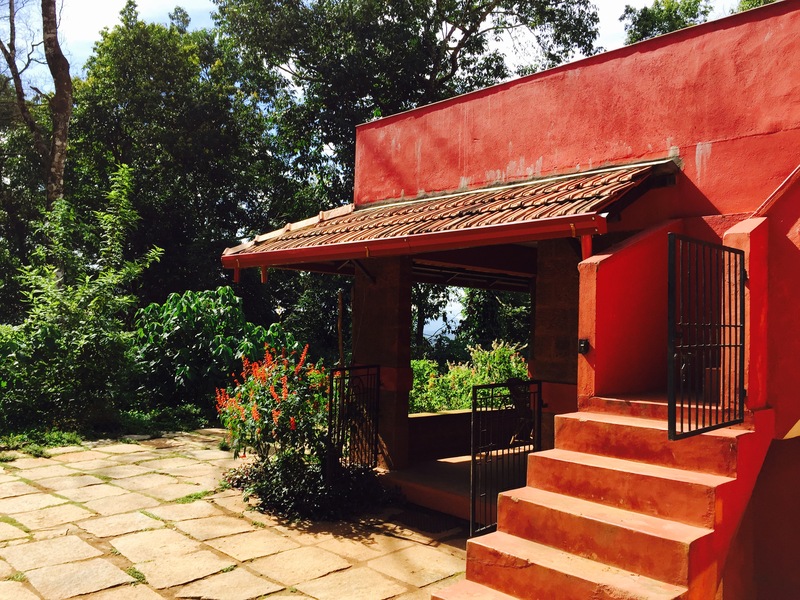 june 2015.
honey valley and its sister estate chingaara sit high in the hills about 25km from virajpet and are – in my opinion – the best place to go when you’re looking to get out of the city. in the past i have always stayed at honey valley, but on this trip i decided to check out chingaara. both are run by the chengappa family, one of the sweetest, most genuine families i have ever met. their generosity and hospitality add so many extra dimensions to the amazingness of the place. once alejandra confirmed she would be able to make it, i set about to take care of logistics. buses were booked, accommodation was confirmed, and the only thing left was to make the journey. i cannot even express in words what my level of excitement was in the week leading up to the trip. i hadn’t taken any time off since joining zaya at the beginning of the year, and i was going through a tough few weeks, so this was just what i needed to get away and clear my head a bit. and our little holiday was, to put it simply, absolutely perfect. 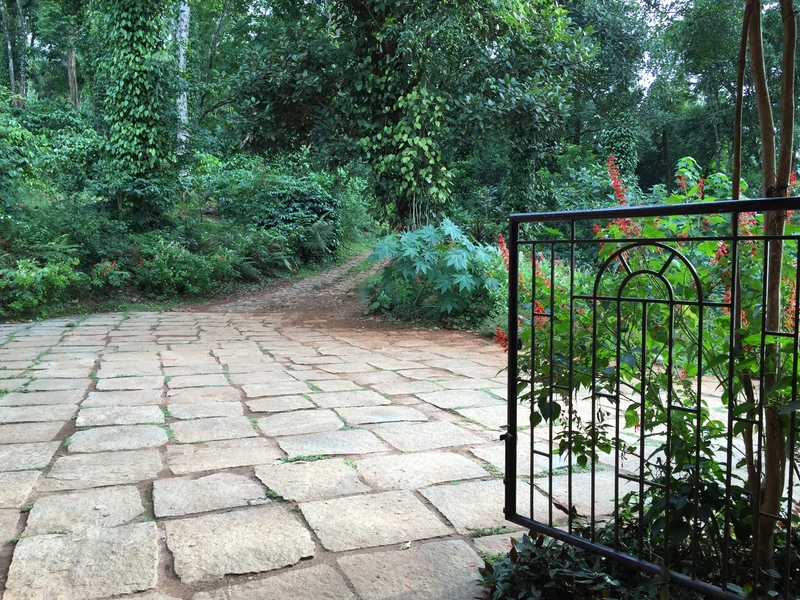 we had about a day and a half on the estate, and we got to experience the best that coorg has to offer. saturday was sunny but cool, with gorgeous clear blue skies and breezes that made me remember what it’s like to feel chilly. sunday was grey and rainy, just the way i like it, enveloping the surrounding forest in a cloudy haze. the view from our veranda. 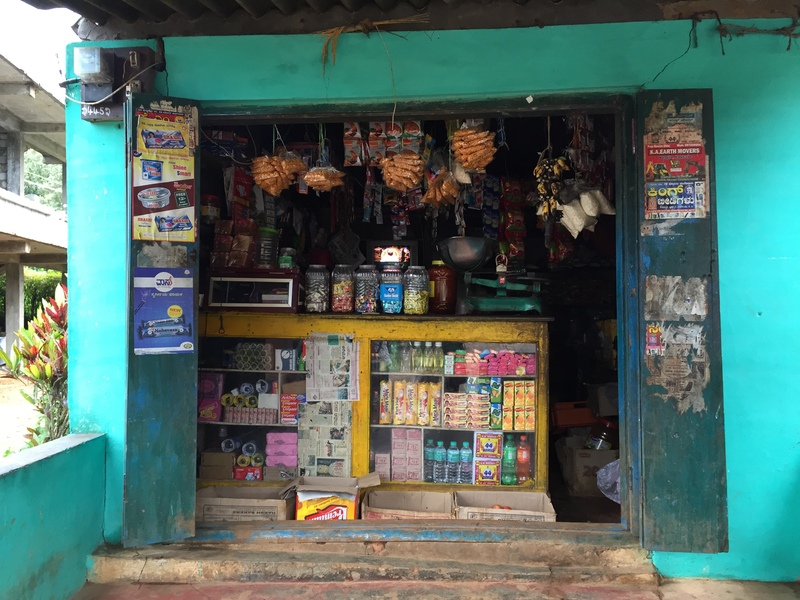 coorg, india. june 2015.
we took it easy once we arrived on saturday: we had lunch, we read for a bit, i took a nap, and then we had some tea and pakodas on the veranda in front of the main building. we greeted fellow guests as they returned from their treks, and we spent a lot of time just staring into the distance. i was so relaxed, and i slept better that night than i had in weeks. the world’s most inviting driveway. 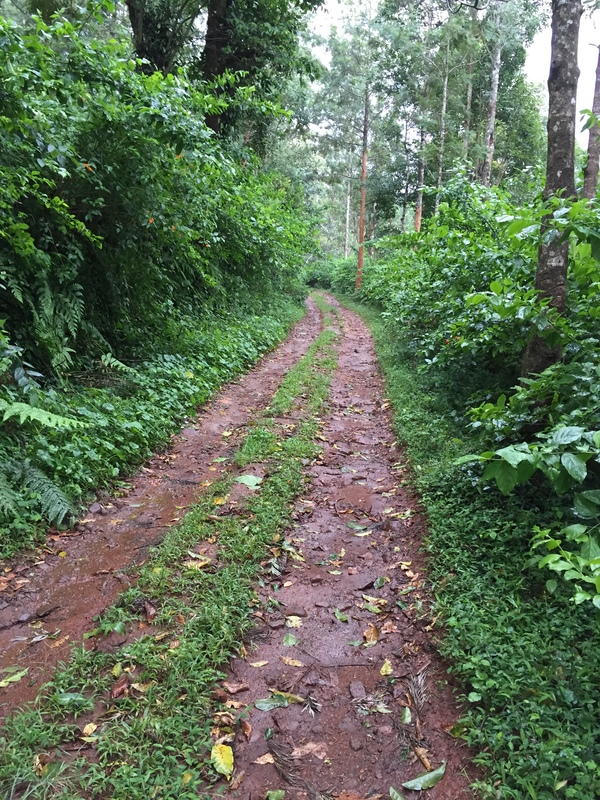 coorg, india. june 2015.
sunday dawned with the promise of rain, so we decided to wait and see how the weather played out. alejandra wasn’t feeling well, so she spent the morning resting while i went for a short walk. i walked up to honey valley – about 1.5km from chingaara – in the hopes that aunty would be around. as luck would have it she was, and i got a lovely hug from her in return. 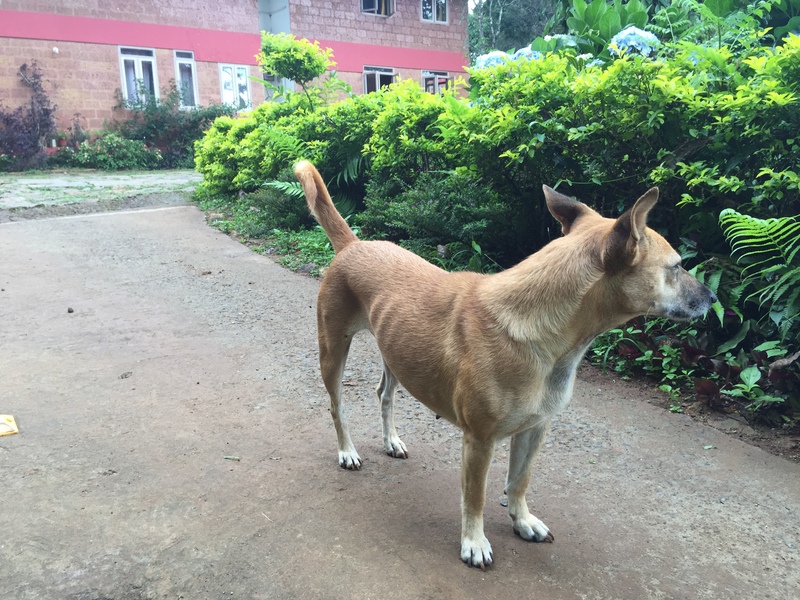 i also chatted with a guest who lives less than 1km from my house in bangalore. small world. a donkey, just for good measure. 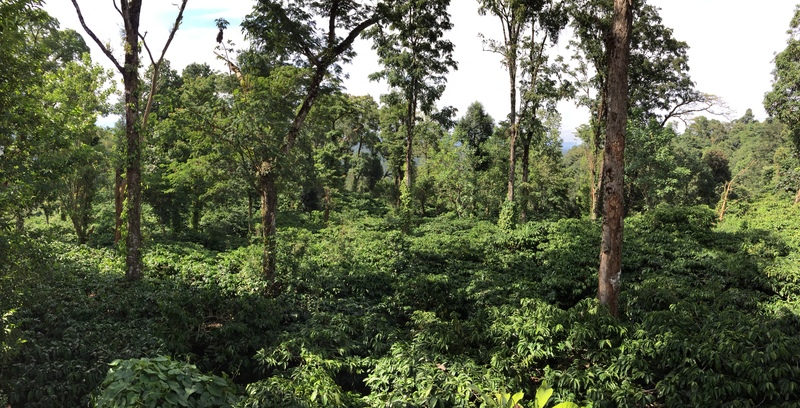 coorg, india. 2015.
i was back at chingaara in time for lunch and then took it easy during the afternoon. i finished one book and began another, and i enjoyed swinging and listening to the rain. after dinner we invited two other guests to join us for a game of phase 10, and we passed nearly 2 hours playing and chatting. one of the guys who was playing with us – a british guy who works for an ngo in bangalore – also lives about 200m from me. second neighbour met in the span of about 10 hours. even smaller world. the perfect place to drink chai and read. coorg, india. 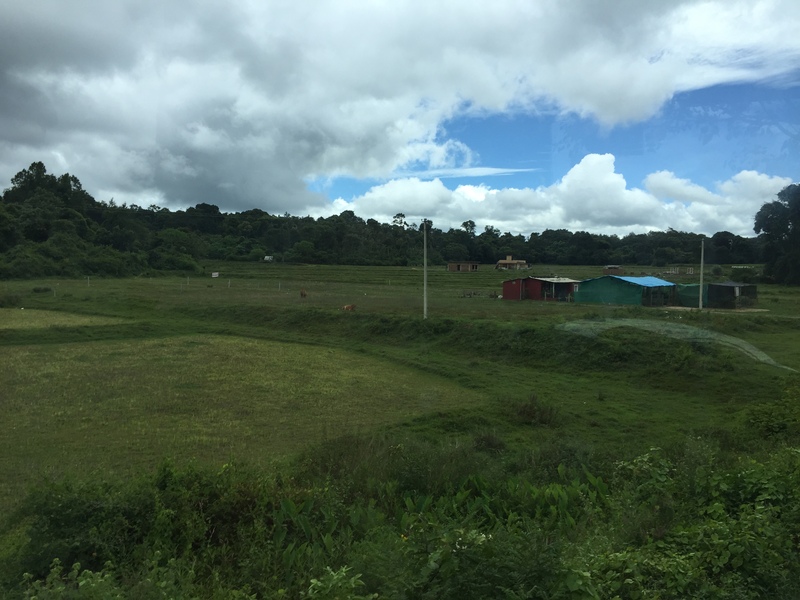 june 2015.
my bus back to bangalore was on monday morning, so after breakfast two of the other guests and i caught a local bus from kabbinakad to virajpet. i was so sad to say goodbye to my happy place, but it was time to return to the real world. i am lucky enough that i made it 48 hours without once thinking about work or checking my email. i love being able to disconnect, and chingaara is just the place to do so. heading out for a walk. 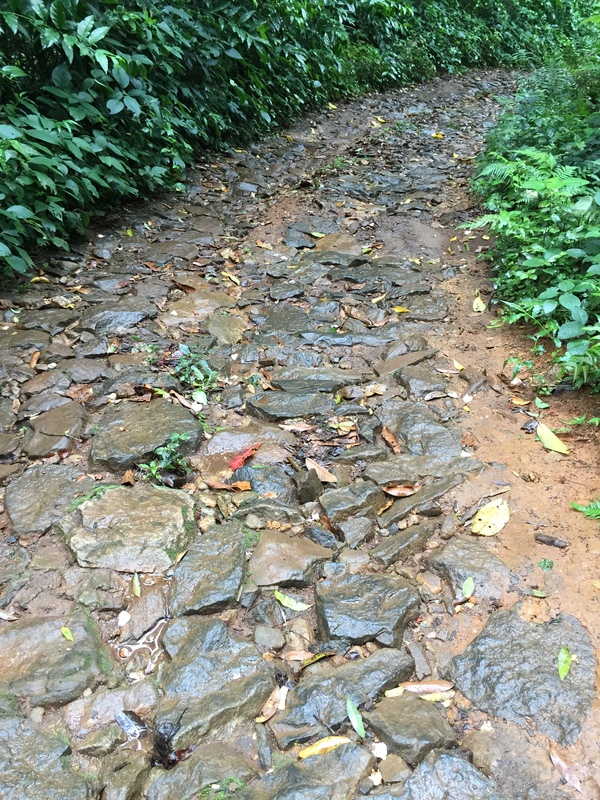 coorg, india. june 2015.
where is it? chingaara is about 25km from virajpet and about 40km from madikeri in the coorg [kodagu] region of karnataka. my happy place. coorg, india. 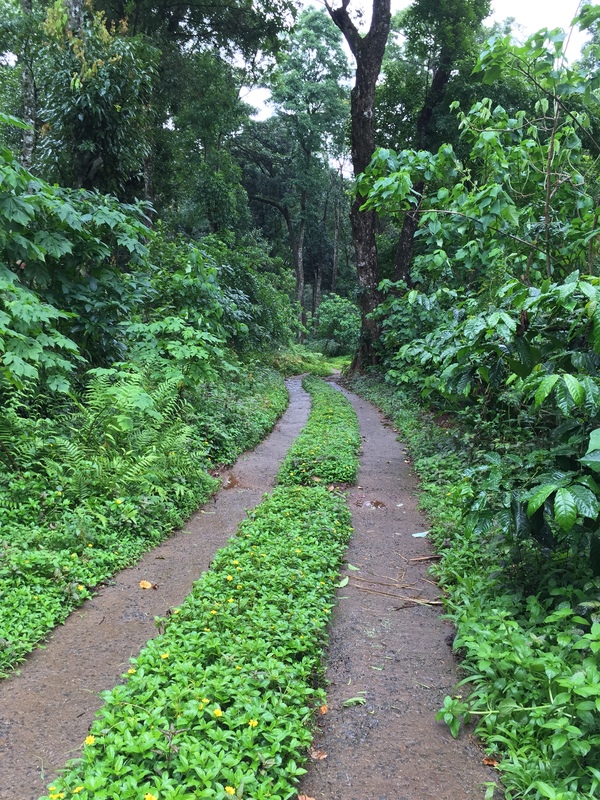 june 2015.
getting there: the only way to coorg is by road, so you can either go by car or by bus. if you go by car, there is free parking available at the bottom of the property. if you go by bus, you’ll have to travel to either virajpet or madikeri and then switch to a private bus that travels between the towns. our bus from virajpet to the kabbinakad junction took about 1 hour 20 minutes, and my return bus to virajpet took about 1 hour. my most favourite view in the world. 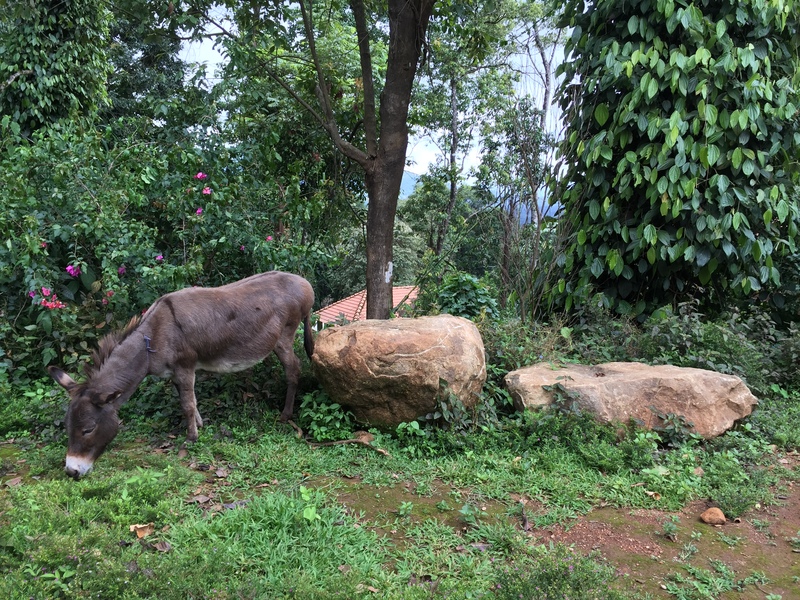 coorg, india. june 2015.
best time to go? 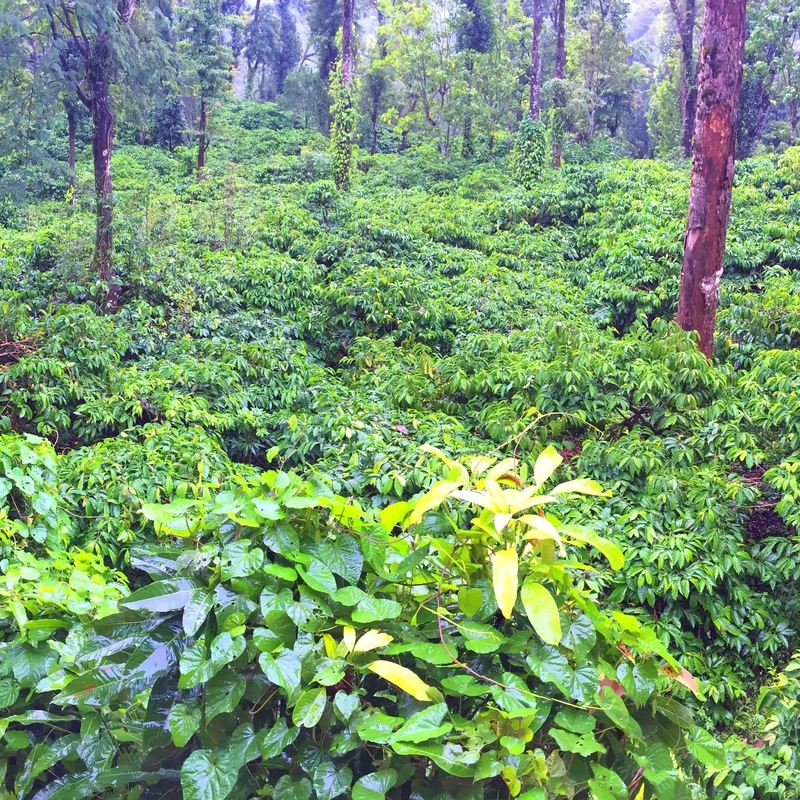 coorg is one of those awesome places that you can visit anytime. i have been in june, july, august, october, and november, and i have never had a bad experience. it’s beautiful in the rain and in the sunshine, so it is really up to you. june to august will be rainy, so just come prepared for that. and for lots of leeches! i wouldn’t mind getting lost here for a few days. coorg, india. just 2015.
how much does it cost? the rooms at chingaara range from rs 2,300 to 2,900 per night for double occupancy rooms; the rate includes breakfast, dinner, coffee or chai in the evenings, and all taxes. lunch, soft drinks, non-veg at dinner, and any additional snacks will cost extra. so many pathways, so little time. coorg, india. june 2015.
how is the food? some of the best i’ve ever had, and i am not at all exaggerating. every meal is a feast of vegetarian goodness, and i love that there is always some sort of fresh fruit available. and if you eat non-veg, order a portion of pork for dinner. coorg is famous for the way they cook their pork, and it is definitely worth a taste. take me back to here. coorg, india. june 2015.
is alcohol allowed? yes. beer is available for purchase at the reception, or you can carry your own alcohol with you. but be warned, it’s not a crazy party place. most people go there to relax and trek, and it generally has a very quiet atmosphere. proof that it was me on this walk. coorg, india. june 2015.
what is there to do? lots of things! there are at least 10 trails – that i know of – on the property that you can explore. they range in difficulty from easy to very challenging, and you can ask the staff which trails they recommend. you can also arrange for a day-long visit to nagarhole or for a day-long guided trek on the property itself. there is a waterfall you can splash around in, but the water is cold! and if you’re feeling a little less adventurous, you can sit on any of the benches, swings, or comfy chairs around the estate and enjoy a book, a board game, or a game of cards. these are my favourite. coorg, india. june 2015.
what kind of traveller does it cater to? every kind! i have gone with friends, with my parents, and with school groups, and i always run into families, corporate retreats, and solo travellers and couples whenever i am there. there is a little something for everyone. i love that there is always a trusty guide dog to keep an eye on you. coorg, india. june 2015.
the chingaara and honey valley estates are two of my absolutely favourite places in the world. they – and the people there – are so inviting, and i always come away from there feeling refreshed and ready to take on the world again. it’s so nice to have even a few days where i’m not thinking about work, or emails, or any other commitments, and it’s just the most peaceful place i have ever been. i love these places, and the chengappa family, and i always look forward to the next time i get to re-visit my old friends. the shop at the bottom of the estate. coorg, india. june 2015.
if you are interested in going, check out chingaara and / or honey valley’s websites, or let me know if there is any way i can help you! with so many 5-star resorts popping up in coorg all the time, i love the homely feel of these places and knowing where my money is going. en route back to bangalore. 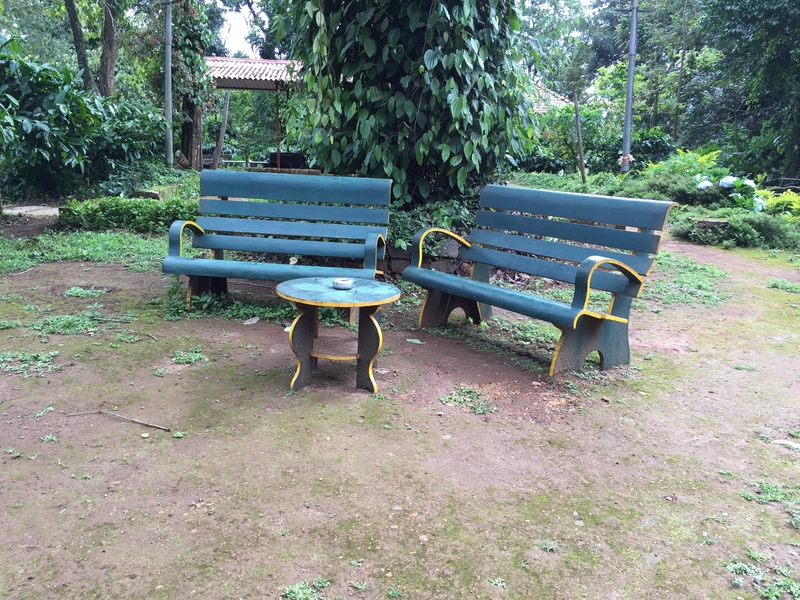 somewhere in coorg, india. june 2015.
bangalore eats: hae kum gang. weekly roundup 19 // 2015.